Some of the new emojis for 2019 announced by the Unicode Consortium this week. The list — which includes 59 new emojis, as well as variants for a total of 230 options — emphasizes inclusivity. People will soon be able to create a “holding hands” emoji to reflect their own relationship, selecting for the skin colour and gender identity of each individual. 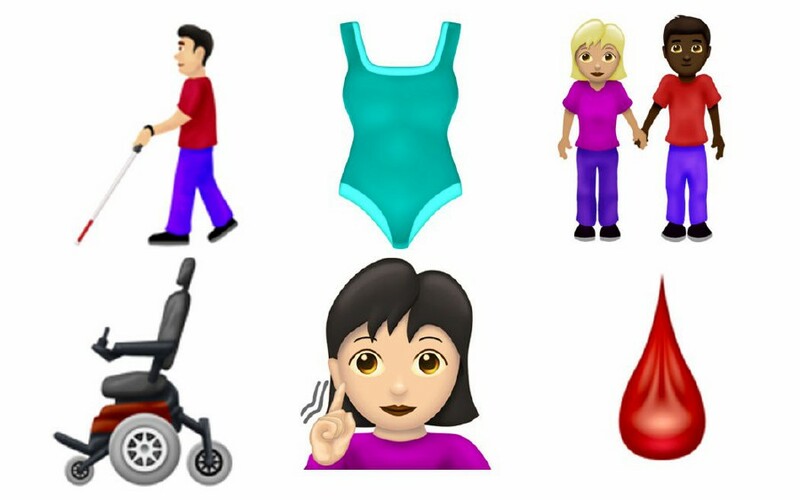 Other options include emojis showing a hearing aid, prosthetic limbs, sign language, a cane or a wheelchair. “It’s huge and historic,” said Ken Tanabe, the founder of Loving Day, an organisation that encourages people to celebrate the anniversary of the Supreme Court decision that legalized interracial marriage. One of the new emojis — a guide dog for people who are blind and visually impaired — offers a fun way for people to represent their identity and honour their dogs in texts and emails, said Becky Davidson, who works at Guiding Eyes for the Blind, an organization that provides trained dogs for people who are blind or visually impaired.